In March I had the opportunity to visit some sick people in the hospital in Noua Sulitsa. Among the sick I visited, was the school principle, which had bronchitis. I talked to her and told her that only God can comfort, heal and forgive our sins. I always pray for her to know God. The next visit I made her was in her room at school. There I prayed for her and blessed her. After my prayer, she told me that she felt a power and strength in her. May the Lord work in her heart! With the children who attend Sunday school I visited the kindergarten and there they sang Christian songs and recited poems. I told the teachers at the kindergarten about God’s love. They listened to me with suspect and prejudice. I told them that when I wasn’t Christian, I behaved the same as they behaved, and suspected Christians as they did. But after accepting the Lord as my Savior and reading the Bible I understood that only through Jesus can I have eternal life. Although Fagadau is a little village, a lot of people are worried of their future. For example a young man of 23 met me and asked me how he can stay faithful to the Lord, as it is difficult nowadays to keep faith in God. I told him that only Jesus gives strength. He is our true friend who gives us strength and comforts us in hard times. I talked to him a lot and explained the Bible. At the end I invited him to church and meet other Christian young people as he is. We pray for Alexander. Our youth have singing practice twice a week. They are preparing for the Easter service. I and my granddaughters, Julia and Valeria are visiting other churches in the district. There they sing songs and recite poems to the glory of God. In March we visited the churches in Marshentsa and Horbova, bringing joy to brothers and sisters there. As for me I continue to fight with my illness. I take expensive antibiotics purchased in Germany to face the infection in my intestines. I have to take these antibiotics once in three months. I pray the Lord to strengthen me so I could work in His vineyard. Thank you for supporting me and each missionary in Ukraine. Thank you for your prayers. We wish you health, peace and may the love of our Lord Jesus be in your hearts. May the Lord bless you! Vasil Preutesa, pastor missionary in villages Fagadau and Vanchikauts. 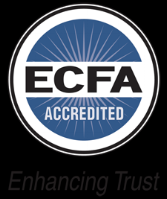 Partners In Evangelism is an ECFA Accredited Ministry.